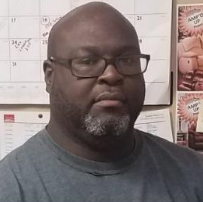 Ed Parker, owner of Big Ed’s Janitorial, LLC was born in Vardaman and has lived his entire life with the Parker family in Bruce, just south of Oxford, Mississippi. At 6’ 3” he got the nickname “Big Ed” when he played high school football for Bruce High School and later at Northwest Community College. Ed has worked as a janitor since 2002 and started his own business in 2011. Most of his janitorial and business cleaning customers are in the Oxford MS and Lafayette county area, but he also covers surrounding areas. ​Ed knows there are several choices in the Oxford area, so he makes it a point to go above and beyond expectations with attention to detail, deep cleaning and hard work that keeps his customers happy. He’s built his business reputation in the North Mississippi on hard work ethic, honesty and trust in his business dealings. Please email Ed at myjanitorpro@gmail.com or give him a call right now at 662-222-6004. He’d be happy to send his business and personal references.